Athletes using their head to move a soccer ball: It is called "heading," and it is quite common. During competitive games, each soccer player averages six to 12 headings every game, with the ball moving up to 50 miles an hour. Players often perform the maneuver during practice time as well, with up to 30 rapid-succession headings a typical practice drill. Other research published in the journal Radiology goes even further to show that this common maneuver injures a player's brain, using MRI brain scans and a different demographic group as participants. Researchers recruited 37 amateur soccer players with the average age of 31 who had played soccer an average of 22 years. They sought data about the long-term damage that may result from the small but repeated impacts to the head that are caused by heading the soccer ball. They sought to identify a threshold above which injury and cognitive problems might be detectable. Participants were questioned about their headings over the previous year, performed neurocognitive tests, and were given MRI scans of the brain. The study found that soccer players who repeatedly head the ball had lower performance on neurognitive testing and changes in their brain microstructure. These findings suggested that using the head to move the soccer ball may indeed lead to long-term brain injury. The MRI scans detected three areas of white matter in the brain with lower fractional anisotropy. "We were able to detect changes to the microscopic structure of what's essentially the brain's wiring, the white matter axons," head researcher Michael Lipton told MedPage Today for an article about the study. The threshold that researchers found was a range of 885 to 1,550 headings per year; players who headed the ball in or above that range were most likely to suffer the damage visible on the brain scans. The number of headings also affected the players in the area of memory. The threshold for this impairment was slightly higher; players heading the ball about 1,800 times per year were at risk for memory loss. While the researchers were able to identify some safety thresholds, they also found that in a subset of the study participants, brain changes were seen even below the identified thresholds. This suggested that some players may be particularly vulnerable to brain injury from heading the ball. Why this is the case was not clear, but the study authors urged further research to identify a possible genetic cause of susceptibility. Unexpectedly, these findings were not associated with prior concussion. 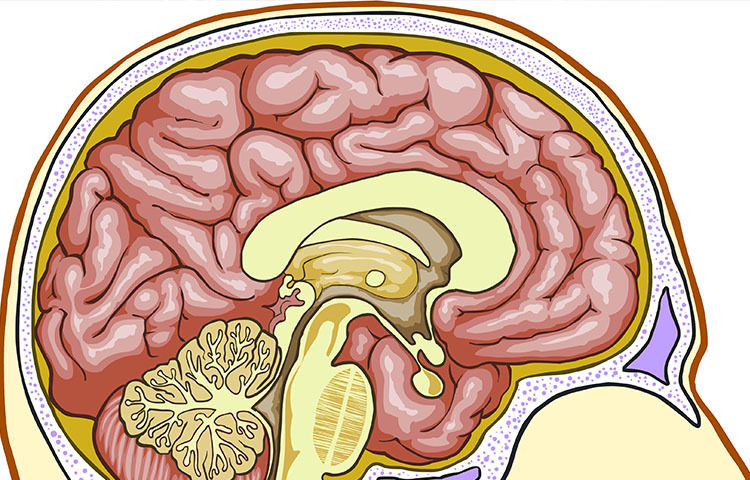 However, the brain damage was consistent with damage seen in patients with traumatic brain injury. Another surprise that was revealed by the research was the site of the injury, which was on the opposite side of the head as the impact with the ball. The researchers wrote, "We interpret this an analogous to the phenomenon of contrecoup injury, which occurs opposite the site of impact in contusional brain injury." They also noted that it is likely that other areas of the brain were damaged by heading the ball, but the changes were too subtle to be detected by MRI. More research will be needed to confirm these results and more clearly establish safety thresholds, as this study was limited by its small sample size, lack of data about ball velocity and location of head impact, and the reliance on fractional anisotropy measurements for imaging. Further research may use other types of MRI studies to reveal more about mechanisms and effects. This future work could be used to recommend safety measures analogous to "pitch counts" for baseball players, determining how many headings an individual soccer player can perform before being required to rest and recover. Lipton M, Kim N, et al. Soccer heading is associated with white matter microstructural and cognitive abnormalities. Radiology (published online before print June 11, 2013). doi: 10.1148/radiol.13130545. Walsh Nancy. 'Heading' soccer ball injures brain. MedPage Today www.medpagetoday.com/Neurology/HeadTrauma/39725.